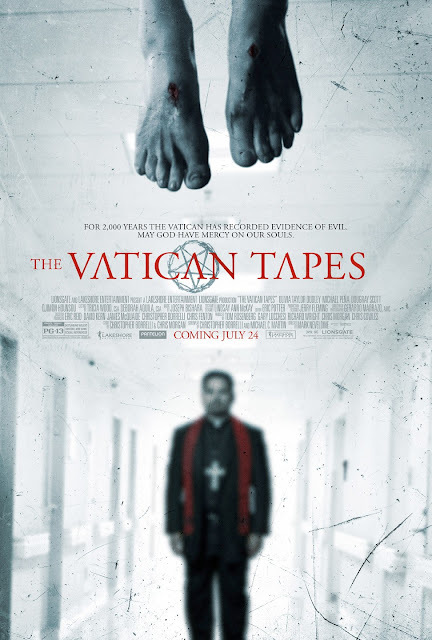 Chrichton's World: Review The Vatican Tapes (2015): Holy crap! Horror 101. Less is more mister Neveldine! Review The Vatican Tapes (2015): Holy crap! Horror 101. Less is more mister Neveldine! You know those movies where certain people gradually start to act funny and where for the most part you are wondering what is going on. Are the people certified? Or are they possessed by some supernatural phenomenon? I like it when they make you question of what we see is real or not. It adds to the suspense and therefore could make it truly horrific. Well, The Vatican Tapes, is definitely not one of those films. The Vatican Tapes leaves nothing to chance and spells everything out for you right from the start. You really don't have to figure out what is going on or why it is going on since you already been told in the prologue. I hear you thinking then what is the point of such a film? Very good question. The answer: There is no point. All what the audience gets served is always over the top and never subtle. And it makes everything incredibly boring ladies and gentlemen. I truly gave this a fair shot and kept watching to make sure that there was not more to the story and if there would be some nice twist in form or another. But nothing of the sort. Instead every supposed scary moment can be predicted to a tee. It is so puzzling and confusing to see good actors like Michael Peña, Djimon Hounsou and Dougray Scott being part of this travesty. They really try hard to do what they can with what they have to work with but it simply is not enough. You could tell that at one point even they were wondering where the story was heading. Now I am not going to deny that there some nice and neat ideas woven into this garbage but if only the director had given it his all and went above and beyond to use them properly. Why even bother to put in jump scares if the whole film is devoid of suspense, dread or creepiness. Just today Mrs. P. pointed me to people suffering from this rare disease that makes them look like trees. I kid you not. That freaked me out a whole lot more than all this supposed terror and doom. Thing is that won't impress or affect anyone if you fail to show why we should be scared. I wished I had known beforehand that Mark Neveldine directed this. 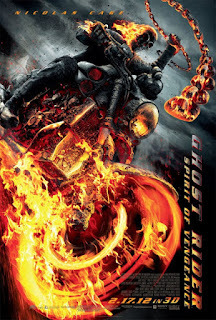 His Ghost Rider: Spirit of Vengeance was atrocious. Don't bother with this film. Just don't.